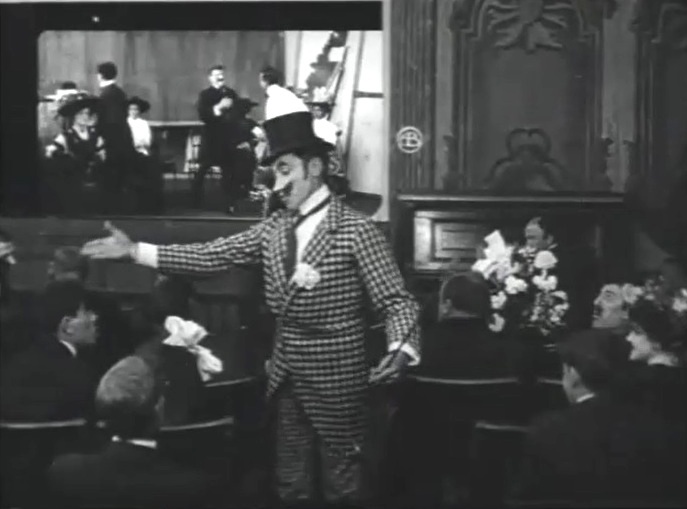 Running time 2 m. 41 s.
"Those Awful Hats" is a very short comedy directed by D.W. Griffith, featuring Robert Harron, Florence Lawrence, Arthur Johnson and cinematographer Billy Bitzer, stars of Silent Hall of Fame. 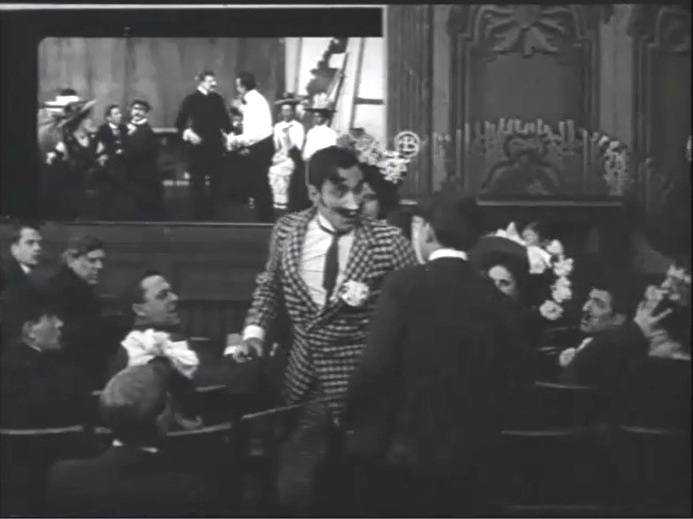 A very young Robert Harron has a prominent role together with Mack Sennett as members of the audience. 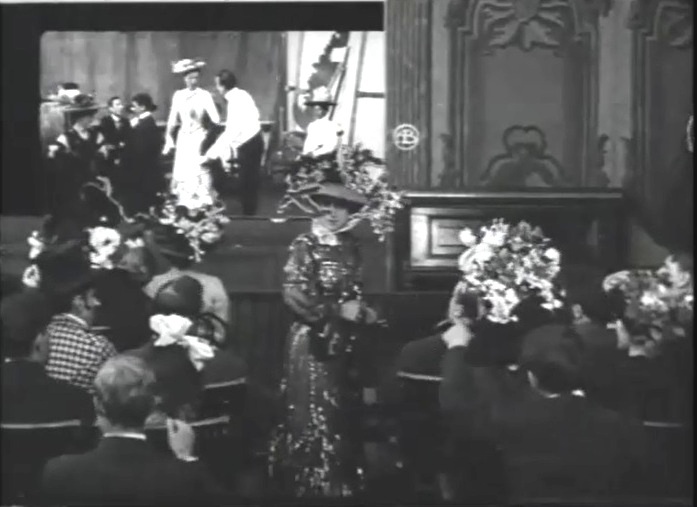 Florence Lawrence and Arthur Johnson can be seen in the film that the public is watching on the screen. They both appear later in the audience. 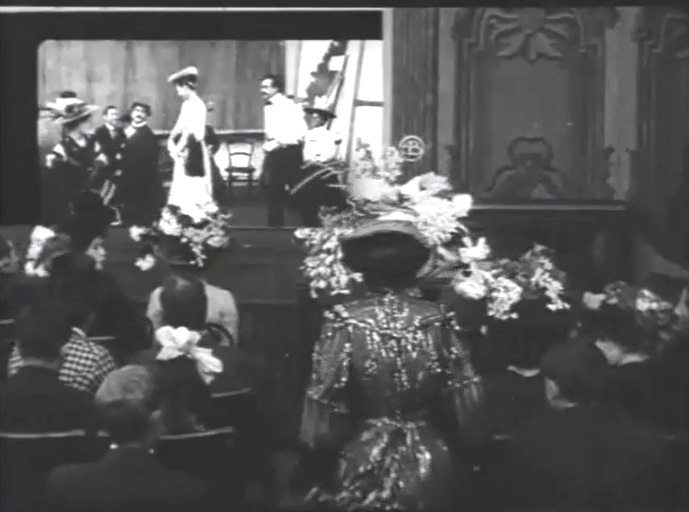 Robert Harron watches a film in "Those Awful Hats" (1909), directed by D. W. Griffith, cinematographer Billy Bitzer. Robert Harron is at the bottom right corner of the picture. 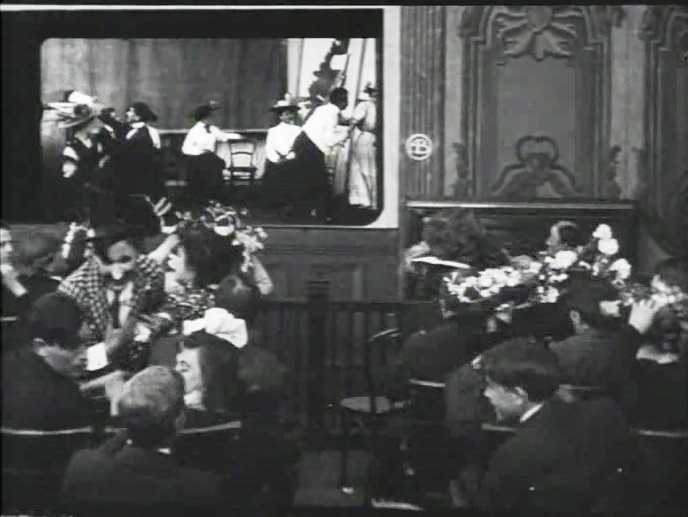 Arthur Johnson and Florence Lawrence can both be seen acting in the film on the left half of the screen. 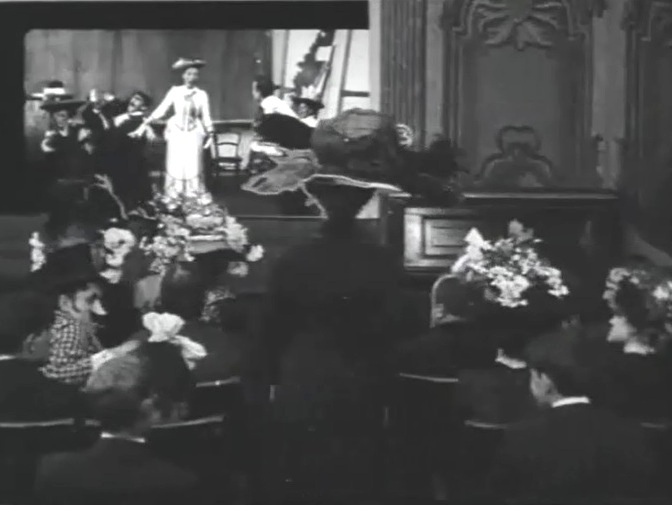 A woman with a hat shows up as Robert Harron on the right and Arthur Johnson on the left look on in "Those Awful Hats" (1909), directed by D. W. Griffith, cinematographer Billy Bitzer. Florence Lawrence shows up with a nice hat in "Those Awful Hats" (1909), directed by D. W. Griffith, cinematographer Billy Bitzer. 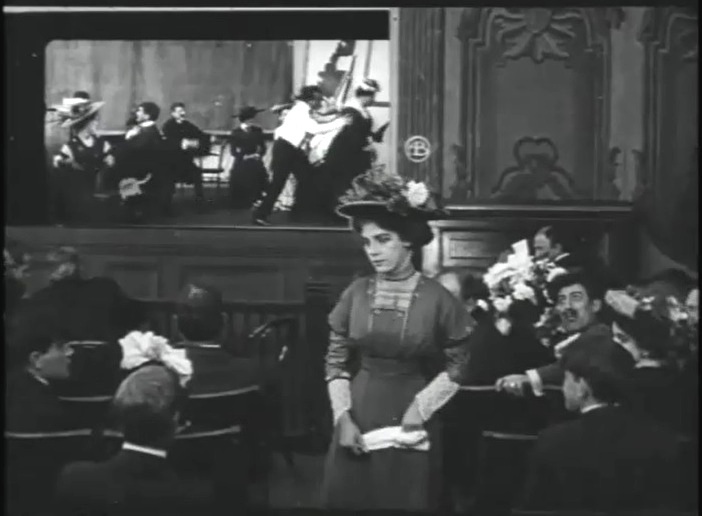 More women with hats show up as Robert Harron watches a film in "Those Awful Hats" (1909), directed by D. W. Griffith, cinematographer Billy Bitzer. 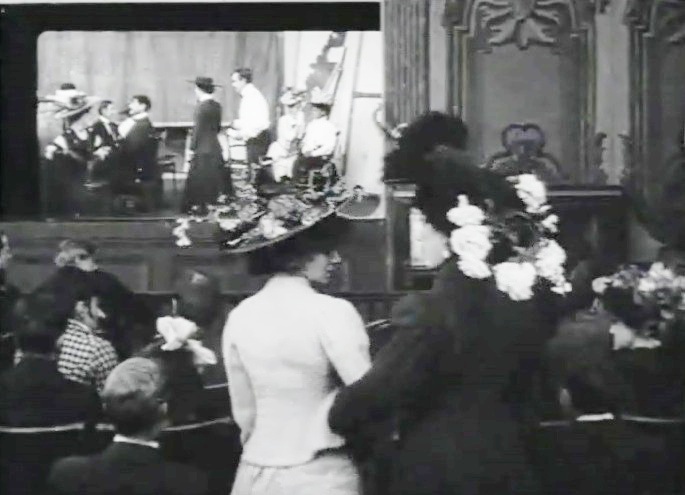 Two women with hats block the view as Robert Harron watches a film in "Those Awful Hats" (1909), directed by D. W. Griffith, cinematographer Billy Bitzer. 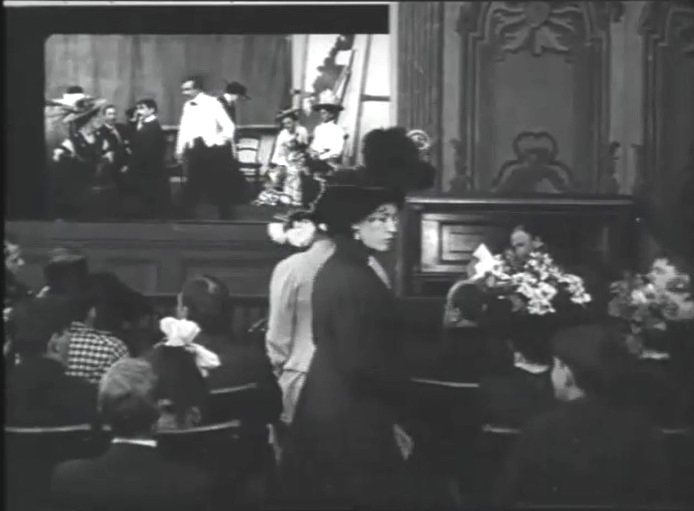 More women with hats show up as Robert Harron watches the film in "Those Awful Hats" (1909), directed by D. W. Griffith, cinematographer Billy Bitzer. 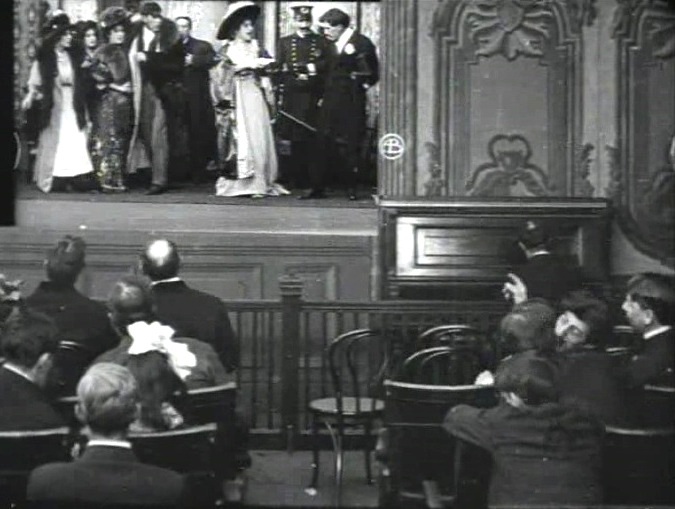 Many hats block the view in "Those Awful Hats" (1909), directed by D. W. Griffith, cinematographer Billy Bitzer. Mack Sennett appears as Robert Harron watches a film in "Those Awful Hats" (1909), directed by D. W. Griffith, cinematographer Billy Bitzer. Mack Sennett and Robert Harron have an argument in "Those Awful Hats" (1909), directed by D. W. Griffith, cinematographer Billy Bitzer. 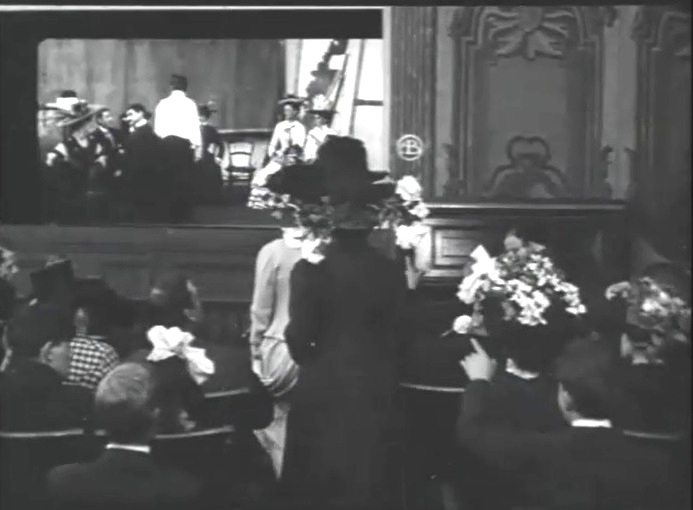 A woman with a huge hat shows up as Robert Harron watches a film in "Those Awful Hats" (1909), directed by D. W. Griffith, cinematographer Billy Bitzer. Robert Harron on the right, Arthur Johnson on the left and others discuss the hats in "Those Awful Hats" (1909), directed by D. W. Griffith, cinematographer Billy Bitzer. 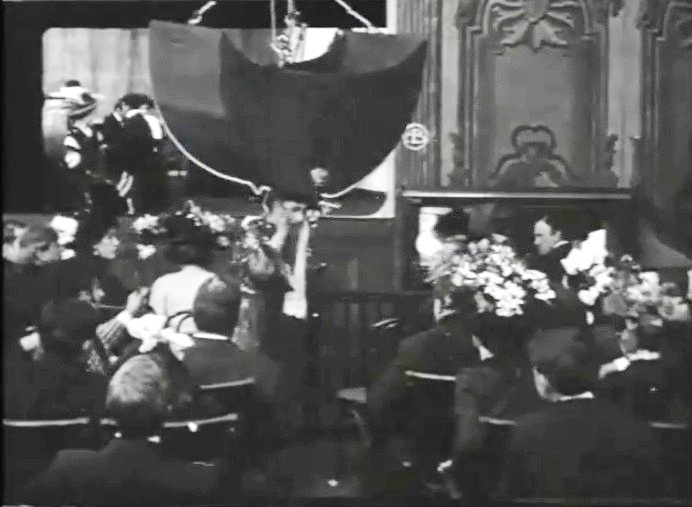 A bucket takes a woman's hat in "Those Awful Hats" (1909), directed by D. W. Griffith, cinematographer Billy Bitzer. 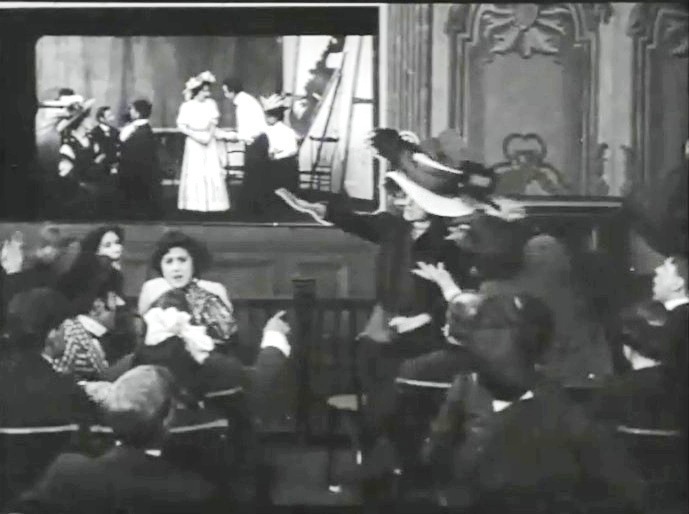 All women but one remove their hats in "Those Awful Hats" (1909), directed by D. W. Griffith, cinematographer Billy Bitzer.